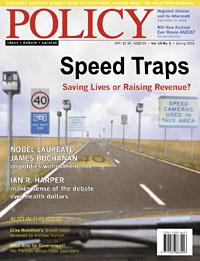 In a front cover article published by Policy Magazine in Australia, Dr Alan Buckingham confirms and validates Safe Speed views. You can download the article direct from Policy Magazine (here) or the identical pdf from Safe Speed (here). Dr Alan Buckingham is a Senior Lecturer in Sociology at Bath Spa University College. He describes himself as a "quantitative sociologist". You can visit his university home page (here). We are looking forward to working more closely with Dr Buckingham in the future.